Last but not the least, let us introduce the fourth shade in the Swarovski Crystal Pixie collection. Rock Shock contains a grey base color, and tiny unfaceted star shaped crystals. 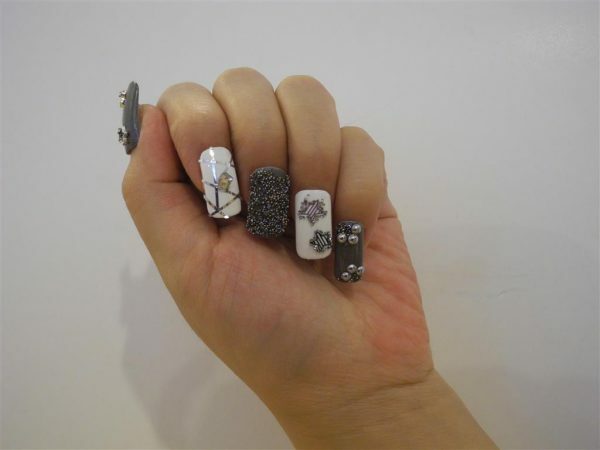 With different designs on each nail, these ten sparkling gorgeous fingers are ready to rock. Now that we have shown you all four sets of the CRYSTAL PIXIE Collection, do stay with us and we will tell you how they work!